….or possibly 18 months of violence, confusion, trauma, death, divorce, breakdowns and a line-up change which would have finished most bands and left the remainder quivering in a corner. To lose one band member – self-styled ‘sartorial percussionist’ Charlie Bergmann – may have seemed careless (poor lad had exams to pass – bless his spandex socks) – but to then lose lead singer Alex Lee to the Isle of Wight AS WELL (long story – quite a bit of it involving a zimmer-frame) might seem pathologically self-sabotaging. Hang on – let’s go back a few pages. Where did we come in? 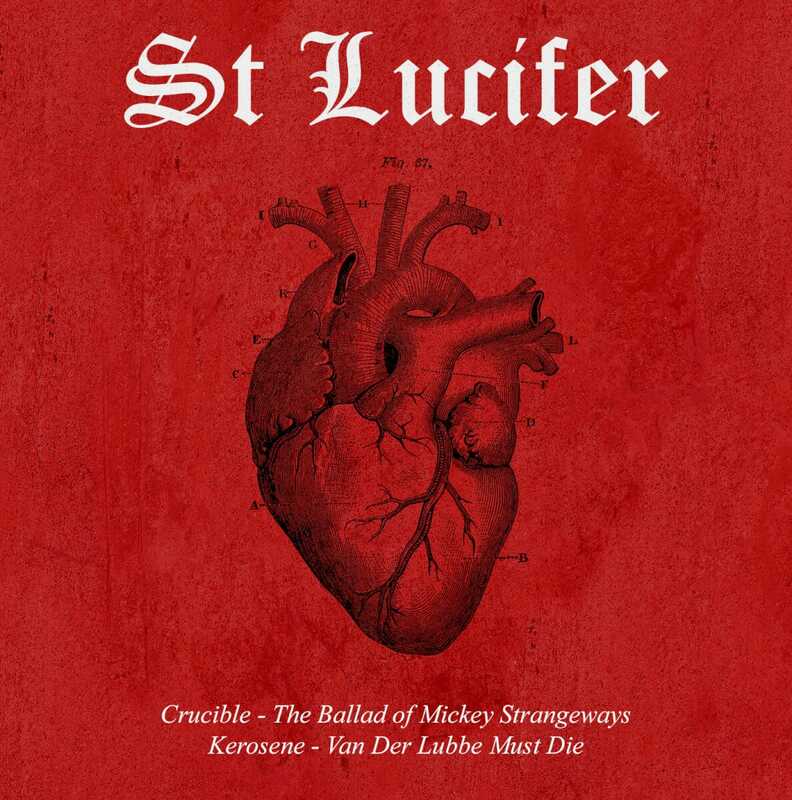 St Lucifer formed in October 2015 – Within a month they’d played their first gig – Two months later they’d supported punk-legends Subway Sect, taken over Valentine Records, released a sold out 7″ single (Van Der Lubbe Was Innocent/Do As Little As Possible) and blown up a record store, all in time for Christmas. 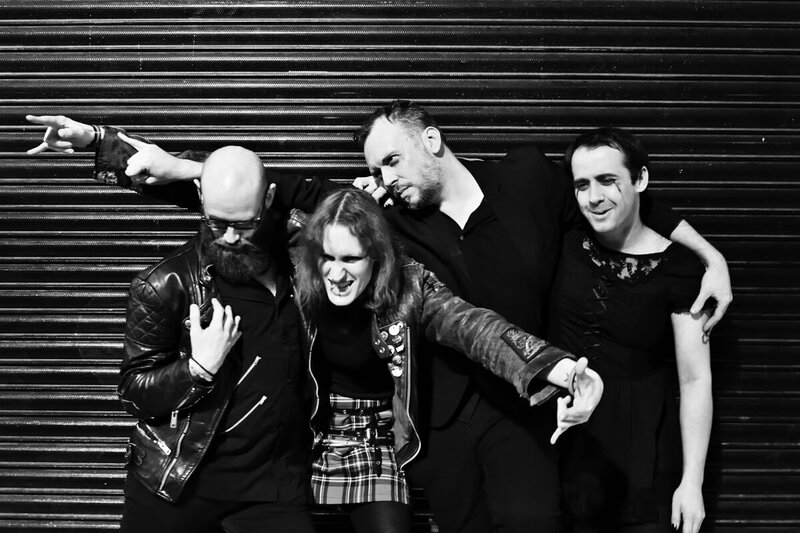 Many more anarchic gigs followed during 2016, with a ‘pause for thought’ over the summer to focus on the recording of their debut album. 2017 saw a change of record label – switching from Valentine Records (run by vocalist/guitarist David Fox and bassist/TECHnician John Mitchell) to the increasingly globe-straddling AnalogueTrash. Fast forward to December 2017 – Following the departure of Messrs Lee and Bergmann – the surviving members felt that the only sensible approach was to engage two female talents to replenish the ranks. Simple Gender Calculus: Girls are better than boys. Fact. Deal with it. Lead Guitarist Charlotte Winchcombe (formerly of Action Directe/Syd.31) joined at the end of 2017’s Electronic Liberation’ tour and was heavily involved in the latter stages of the album recording – replacement drummer Alice Class joined later (post album to be precise) but that’s another story. She’s only just getting started. 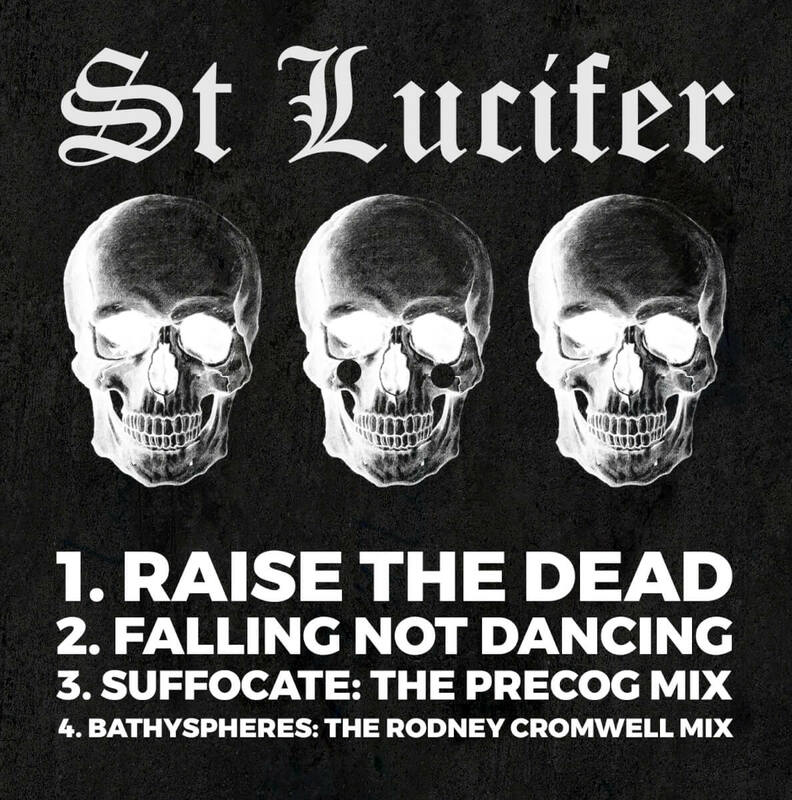 Crucible (the lead-off single) follows – and is probably the most accurate distillation of the aforementioned ‘blackmetalgaydisco’ St Lucifer have written to date. The promo video is probably being banned in several more conservative leaning territories as you read this..
Next up is a quite remarkable collaboration with long-time collaborator poet Emily Oldfield: Walk Slowly Towards Her is simultaneously fragile and terrifying – relentlessly rhythmic, yet sounding like its teetering on the very edge of imploding: ‘Do You Want to Die in a Red Room’. If you hadn’t gathered by this point Music is Violence is an album which pulls very few punches. 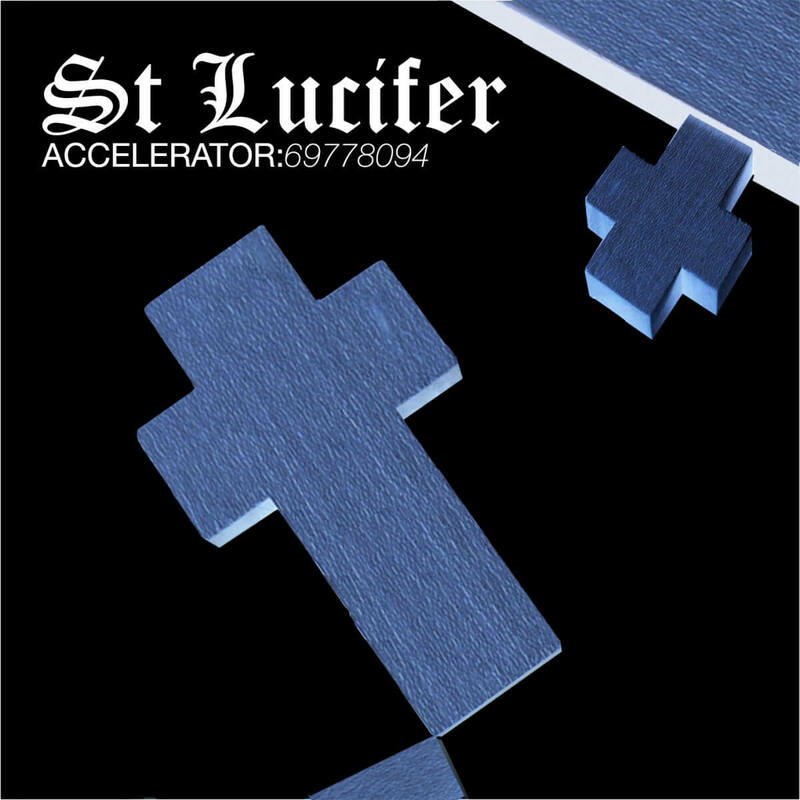 It’s also a record which (despite its somewhat torturous genesis) showcases a band growing in confidence – solid, brash and painting with a much wider palette than their heads-down/no-nonsense self-titled debut – heralded by a re-recording of The Enemy from their AnalogueTrash debut EP Accelerator:69778094 – which features Charlotte’s trademark pinch harmonic assault guitar. It’s the closing track Gone though that finally draws the whole patchwork together – Drop-D Drone Metal – it literally forces itself down into the subterranean doom space somewhere between early Black Sabbath and latter-era Melvins – and then piles on the guitars. And the drums. And more tracks of everything-else than anything else you’ll hear this year. 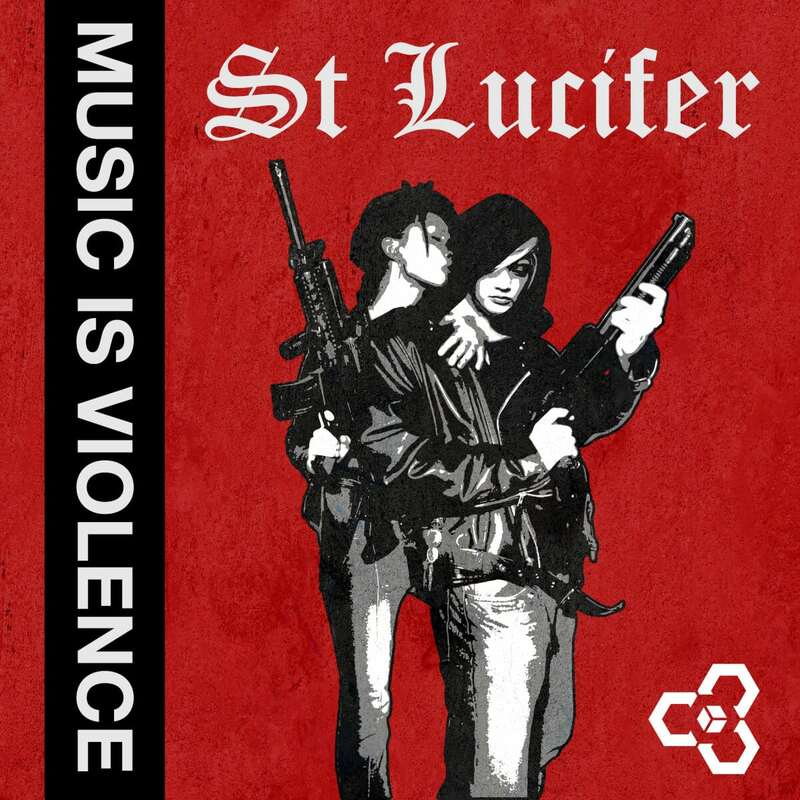 St Lucifer are currently preparing for the 2019 Music Is Violence tour – with a new studio, new songs and a new EP in the works….